THE new £842 million South Glasgow University Hospital has suffered a fresh setback after another rise in emergency patients facing lengthy waits to be seen. The flagship hospital is still the worst in Scotland for being dealt with at accident and emergency - despite a team of Government troubleshooters recently being sent in to tackle the problem. Twenty-five patients a day are now waiting longer than the four hour national target to be seen. And over the past year patients across Scotland have faced longer waits in accident and emergency departments, health service statistics show. South Glasgow University hospital has been beset by problems since opening earlier this year. The latest weekly statistics show 88.6% of emergency patients were seen inside four hours - against a national target of 95%. The hospital had initially improved after health secretary Shona Robison sent in a team of Government experts. The number of patients being seen inside four hours jumped from 78.6% to 89.6%, before falling back again last week. It has the poorest record in Scotland, behind Hairmyres in East Kilbride which saw 89.8 of patients inside four hours. 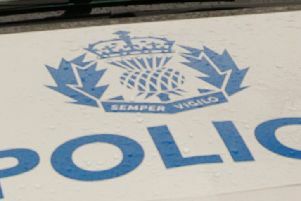 Accident and Emergency performance has also deteriorated across Scotland over the past year, with a fall from 93.8% to 92% in the year to June. Ms Watt said: “It is vital that, with ongoing support from the Scottish Government, health boards continue to deliver strong performance across Scotland in the summer months to ensure they are in the best position they can be heading into next winter. “We have put record funding and staffing in place and we are committed to tackling delayed discharge, including through the integration of health and social care.